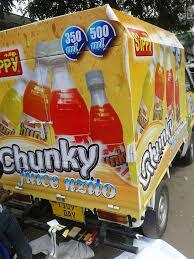 Super Sip Ltd produces carbonated soft drink under brand name of “SIPPY”. Company’s manufacturing facility has the capacity to produce 300 bottle per minute of carbonated soft drink. Super Sip Ltd have wide range of carbonated soft and energy drink, “SIPPY” Tanzania’s oldest carbonated soft drinks brand in PET bottle and liked by millions of Tanzanian and present every place in Tanzania.